The Bernie Sanders campaign released a new thirty-second television advertisement produced by Academy Award nominee Spike Lee on Saturday ahead of the New York primary later this month. 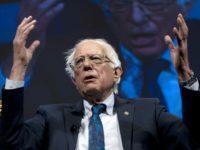 Titled, “These Are Mothers and Fathers, Sons and Daughters,” the new spot features a number of Sanders’s New York supporters — including singer Harry Belafonte and New York Daily News justice reporter Shaun King — speaking directly to the camera about why they’ll be supporting the Democrat Vermont Senator in the 2016 election. “People of color have a deeply vested interest in what Bernie Sanders brings to us in this election,” Belafonte kicks off the ad. “People like Michael Brown, Sandra Bland, and my father, Eric Garner,” continues Erica Garner, daughter of Eric Garner. 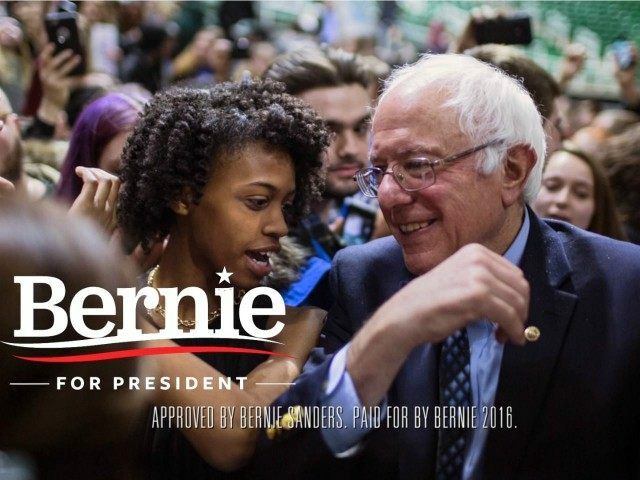 The Lee-produced spot is just the filmmaker’s latest show of support for Sanders; in February, the Do the Right Thing director formally endorsed the socialist Democratic candidate in a radio ad that aired in South Carolina ahead of that state’s presidential primary. Lee also introduced the candidate at a rally in the South Bronx earlier this month, along with actress Rosario Dawson. The New York primary will be held Tuesday, April 19. Democratic presidential frontrunner Hillary Clinton currently holds a double-digit lead over Sanders, according to a Fox News polls released Sunday.